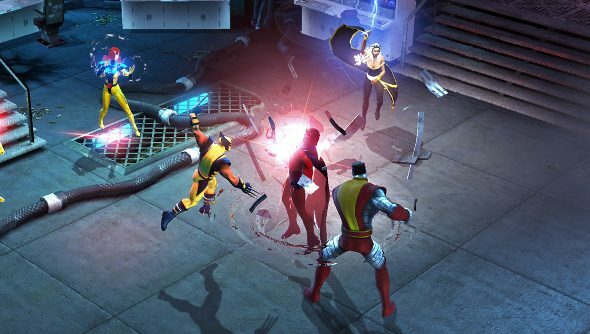 With another big update heading to the world of Marvel Heroes 2015, Gazillion’s MMO-ish action RPG is being rebranded as, unimaginatively, Marvel Heroes 2016. It was due out this year, but fate has decided to intervene and now the update will hit in the year it’s actually named after. The delay was announced in the official Twitter account for Marvel Heroes, revealing a new release window of January 2016. The launch of Marvel Heroes 2016 has moved to Jan. 2016. Everything new is in great shape – we just want to make sure it’s perfect for you. A long list of new features is being promised, as well as an adaptation of the gargantuan Secret Invasion crossover event from 2008, where the shape-shifting Skrulls caused all manner of trouble for Earth’s do-gooding superhero teams. Controller support, a visual upgrade and leaderboards are also expected.